David Miller was once a healthy, active young man who enjoyed life to the fullest. Suddenly, on November 16, 2013 that all changed. While hunting with a friend in Pennsylvania, David blacked out and fell 15 feet from his tree stand. He suffered permanent damage to his spinal cord. David is currently paralyzed from his waist down and is undergoing intensive rehabilitative therapy. At the age of 21, David has such innocence, optimism and charm. He is definitely a fighter and continues to get stronger each and every day. 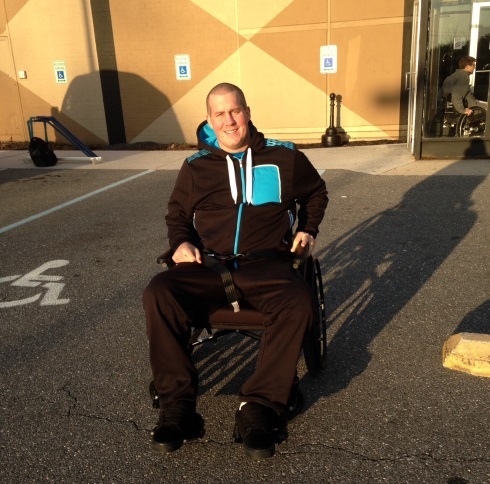 David has transitioned from Penn State Hershey Medical Center to the University of Maryland, Kernan Rehabilitation Center in Baltimore where he is working on getting stronger and learning how to cope with his disabilities. Before the accident, David was working at Mustang Industrial Services, LLC and taking classes at Harford Community College. Even with insurance, David is facing extraordinary out of pocket expenses including medical and rehabilitation expenses, and costs for assistive devices and home modifications. In addition, a wheelchair-accessible truck will become a necessity so that David can return to work in the future. To help offset such expenses, a fundraising campaign in Davidâ€™s honor has been established with HelpHOPELive, a nonprofit organization that has been assisting the transplant community for 30 years. In 2000, they expanded their mission to include those who have sustained a catastrophic injury. All contributions are tax-deductible, are held by HelpHOPELive in the Mid-Atlantic Spinal Cord Injury Fund, and are administered by HelpHOPELive for injury-related expenses only. If you would like to make a contribution, please see the “Mailing a Check?” instructions on this page or select the “Donate Now” button. David has encountered a crisis that would seem insurmountable to most but with tremendous courage, he is moving forward.